If it were not for long period of bad weather, I would not try to take comet Holmes images during the foggy night with the comet being not far from the brightly shining Moon. 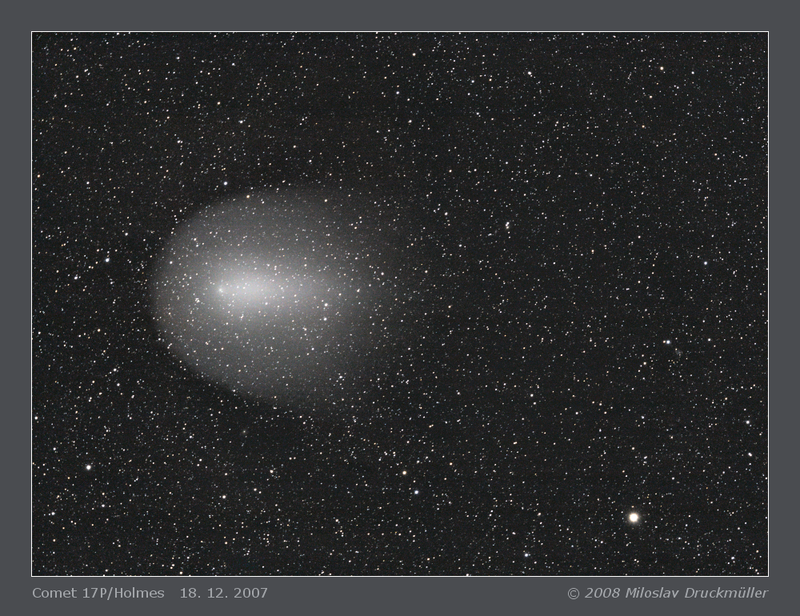 The comet was invisible in the bright sky and it was a big problem to find it on the Canon EOS 5D display. Finally, the result of processing 59 particular images and 58 dark frames was over my expectation and worth the effort.